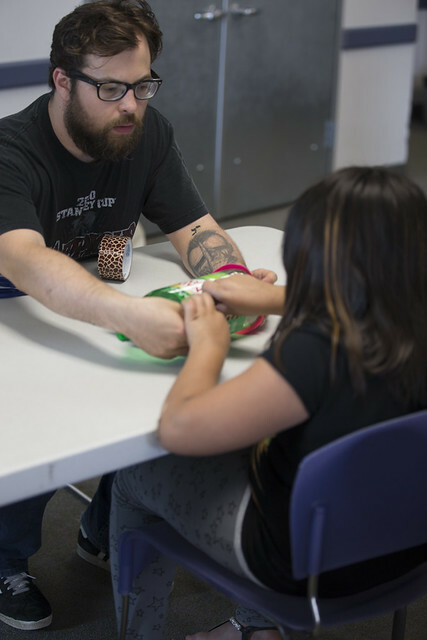 Connected Youth Centers serve those ages 10 to 18. (Up to your 18th birthday, when youth can get an Adult APL card.) These computer centers with special services are set aside for young people. Each center is staffed with librarians and interns who can assist users with their technological and informational needs. Young people in the Connected Youth Centers are encouraged to read and discover Library resources, get to know Library staff, and find a place for themselves within the Library. The Connected Youth project is funded by a grant from the Michael & Susan Dell Foundation. Each of the locations below has a dedicated Connected Youth Center, where young people 10-18 can enjoy the services mentioned above.